I took a few minutes out of my life this weekend and attended the Women of Faith Over the Top Conference in Kansas City, Missouri. 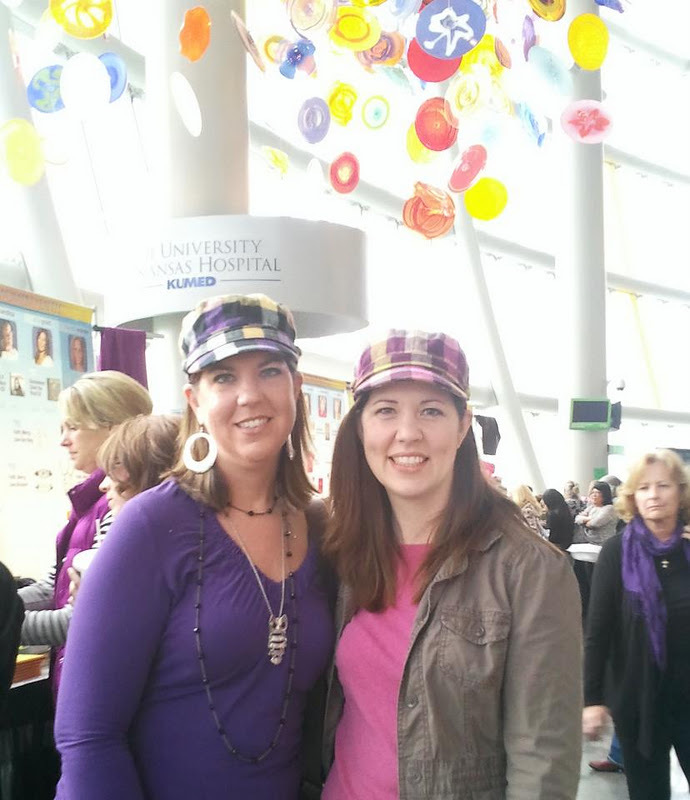 Women of Faith is a two day conference designed to inspire and encourage women. 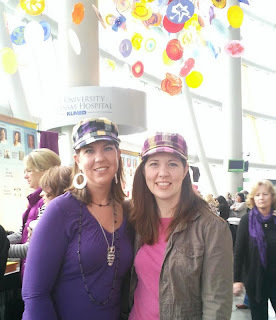 You may remember that I was given tickets to Women of Faith by Booksneeze and attended with my sister. Before I even attended the event, I knew my wrap up post was going to be perfect. I was going to have a weekend away from the kids.. I was going to spend time with my sister. I was going to hang out with some old friends. Ok, ok. They were my "friends", I just wasn't their friend. Ladies I loved and admired while I was growing up-- singers like Sandi Patti and Amy Grant and actresses like Blair from The Facts of Life were going to be speakers at the conference. The weekend was going to be rounded out with other speakers like Patsy Clairmont, Marilyn Meberg, Andy Andrews, Brenda Warner, Deborah Joy Winans. The cherry on the top of the perfect weekend was a Mandisa concert! Well, that's what I wanted to write. The first day of the conference, I had a hunch that it might not be the "perfect" conference I had wanted. Patsy Clairmont had laryngitis and Marilyn Meberg had to cancel due to being sick. On Friday night Mandisa confirmed my suspicion when she mentioned that many things had been fighting against them. Mandissa talked about using the armor of God to fight off Satan. I was impressed by her faith and testimony. I resolved that when I had tests, I wanted to respond with that kind of faith. After the Friday night conference, I headed back to the hotel. My thoughts about the conference had been coming in 140 characters or less, and I wanted to to tweet some of my clever, funny thoughts. I snuggled into my hotel bed with a bag of pretzel crisps and my iPad. Then I realized I had forgotten to put my iPad on the bed. I went to get it out of the gym bag where I had "hidden" it. The bag was open, the iPad was gone. I searched the room. Then I searched again. After a lot of searching, calling, questioning, I began to realize my iPad had been stolen from my room. This was not the perfect weekend I had expected. I was attending the conference as a blogger. Bloggers rely on love are addicted to their gadgets. How was I to do my "job"? It would be like if one of the women of faith speakers lost her voice and couldn't do her job. And then it hit me, she did lose her voice, but she still did her job. Patsy Clairmont, while fighting laryngitis, had given me principles to apply to these types of situations earlier in the day. I wanted to get frustrated. I wanted to draw a black cloud over my whole weekend. I wanted to overreact. Patsy had shared the verse from Proverbs, "A soft answer turns away wrath but grievous words stir up anger." She had suggested that we report problems. Report means to talk about a problem without complaining, whining, or exaggerating.I was going to have an opportunity to report a problem! I needed to talk to a hotel staff and a police officer. I also needed to do it in a way that reflected Jesus-- not an angry mommy blogger. I called to file a police report. I was put on hold... for a LONG time. As I waited, I took some more of Patsy's advice. I journaled my frustrations. Patsy had suggested that this would be a good way to release frustrations. She had warned that we needed to replace those thoughts with something else. I grabbed my Bible and replaced those frustrations with some positive thoughts. If I overreact about losing my iPad, I might not focus on learning or applying principles at the conference. If I don't apply some of these principles to my life, I am not going to be as effective as a wife and mother. If I am not as effective as a wife and mother, I will raise boys that are not as effective has husbands, fathers, coworkers... These boys that I am raising could end up some day saving people from hunger, changing their towns or countries, or sharing God's love with someone in need. I had to shift my perspective and focus on the conference-- not my stolen iPad. On Saturday, I attended the conference again. This time, I heard stories from women like Brenda Warner. Once living on food stamps and raising two kids (one a special needs kid) as a single mom, she is now the mother of 6 kids and married to Kurt Warner. I heard stories of women who were abused, who lived with debilitating addictions and anxiety. Through the power of Christ, they applied principles to their lives and made it through those dark days. In comparison, losing an iPad was minor. I am a blessed woman. I had healthy and happy kids waiting for me at home. By Saturday afternoon, I was READY to get home to those happy and healthy kids. I was also ready to get home to my amazing husband! Yet, on the way home frustration and anxiety about losing my iPad began to creep in on me. What could I do to find it? How was I going to read all my ebooks? Wasn't my three year old going to be upset when he found all his games were gone? At that moment, I had a choice. Would I walk in feeling gloomy about losing an iPad? Or would I walk into my house, thank my husband for helping out this weekend, and began to apply the truths I had learned at the conference to become a better mother? A phrase began to echo in my head, "You have a will that is stronger than your feelings." Patsy Clairmont had shared this thought on Friday. I walked into the house, kissed my husband, and said, "Thank you for helping with the kids so I could go to Women of faith. I had a great time! I lost an iPad but I gained so much more than an iPad is worth." You can find more information about Women of Faith on their website. There are still a few cities left on this year's tour. There is also information posted for the 2012 conference. Tomorrow I'll be back to sharing book reviews with you. Today, I wanted to share something that greatly impacted me in a personal way. Thank you to Booksneeze for providing two free tickets so we could attend this event. Disclaimer: I was provided two free tickets from Booksneeze in exchange for my honest review. No other compensation was given. As soon as I finished typing this and using spell check, I got a phone call that my iPad may have been found!! Now what lesson do you think God is trying to teach me? I too attended the Women of Faith Conference in Kansas City and highly enjoyed listening to he perspectives of the different presenters. I came across your blog from a link that WOF posted. I'm truly sorry to hear about your ipad. However, as Andy Andrews talked about the butterfly effect, maybe YOUR ipad with whatever content or WOF notes might impact whomever took your possession. I'm sure you absorbed several positive memories of that weekend. God Bless. I saw you there! You and your sister...I thought you two were twins and I LOVE to see adult twins. Weird right. Anyhow, someone stole my scarf while I was there; definitely not as expensive as your Ipad, but it had sentimental value. The point to my ramblings is that it ABSOLUTELY was a distraction. The enemy lives to steak, kill, and destroy...period. I focused on it for a long while, longer than I'd like to admit, but I found out a lot about myself this weekend that definitely needs work. Thanks for you blog post, it definitely reminds me that there is always warfare to stop us from getting something God has for us. Be Blessed. That is an awesome story! It made me look at things differently in my life! Im also glad your belonging was returned! Ive never been to a WOF conference! I hope i get to attend one! I'm so impressed that you were able to keep a good attitude and enjoy your weekend. It sounds like a great conference. I do hope your iPad was found. It never feels good to have someone steal from you. Did you get your iPad back? I'm glad you were able to keep a good perspective and attitude in an upsetting situation!